We are a small town kennel with 2 very loving AKC registered German Shepherds, both mom and dad are on site. We currently have 3 males and 3 females, they are ready for their forever homes now. They were born October 21, 2018. They are up to date on vaccines and come with a family lineage certificate. They are very sociable and have had lots of handling by adults and children. Von Haus Wenger is the working line German Shepherd breeding program at Warrior Ethos Farm; which is a veteran owned family run farm. After being stationed in Germany we brought back 3 beautiful pure breed working line shepherds and decided to start a farm. Please visit our website for more pictures and information. South Florida Shepherds is known to be one of the best German Shepherd Dog Breeders located in Miami, Florida. We have strong and healthy AKC German Shepherd puppies for families, personal protection, IPO and K-9 Units. We have 35 years of experience and raise German Shepherd dogs in second generation! We are located in Miami, Florida and Stuttgart, Germany. .facebook/SouthFloridaShepherds We only breed to improve their temperament, health and prey drive. Our German Shepherd Dogs are health screened, OFA /FCI certified hips and elbows, have strong bones, big heads and rich colors. 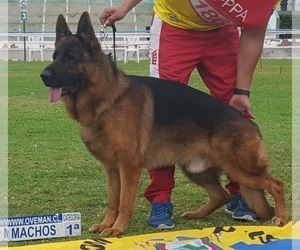 We offer working line and show line German Shepherd dogs and puppies, imported from East Germany (previous DDR), West Germany and Czech Republic. The available colors are solid black, dark sable, bi-color, black and red and black and tan. All our puppies are raised with quality care from day one to insure a happy, confident, well balanced temperament. They are around children, cats and smaller dogs to make sure they will acclimate well with any kind of household. Our German Shepherd puppies come current on their vaccinations, are dewormed and microchipped. We offer a 2 year health guarantee, your puppy comes with a vet health certificate, AKC registration papers, 30 day free pet health insurance and a useful puppy starter package! We work very hard with our new family members to insure all our puppies are well socialist and pre-spoiled when leaving to their new forever homes! You will be glad you chose a puppy from us! We offer financing, accept Paypal, credit cards and so much more! These puppies were born November 12th and are ready to go today. There are 2 females and 3 males. This litter has 2 spirited beautiful alpha males, a spirited female and 2 gentle playful pups 1 female and 1 male). First set of shots &amp; dewormed. Can ship at buyer&#039;s expense. Our mission, at Alpha German Shepherds, is to breed only the finest German Shepherds for you. Whether you are looking for a show dog, breeding dog, a working dog, or even a personal family companion, we have the perfect German Shepherd for you. Here at Alpha German Shepherds, when we mate a pair of German Shepherds, we look for the male that is sure to meet all of our standards. We always use stud dogs that have earned a Championship title and also excel in Schutzhund/IPO work. Our females are from championship stock too. All of our German Shepherds are bred with temperament, trainability and intelligence in mind. We are also a breeder with sound health a primary factor in our breeding requirements. You can rest assured that you are getting one of the finest German Shepherds available when you get your puppy from Alpha German Shepherds. COLORFUL YORKIES PUPPY GUARANTEE We have 100% Guarantee on our puppy&amp;#039;s DNA Canine Genetics breeding Analysis testing is done on all our Dams and Sires. We guarantee our puppies to test Yorkshire Terrier and or Biewer Terrier and no other Breed. Unless specified in posting. Since Biewer is in Parti we must add the Biewer to our Guarantee. Breeding the most beautiful Rich Vibrant Colors in Texas! Merles, Platium, Biro, Ocean Pearl, midnight Black, Deep Dark Chocolate and Ocean Blue Dianonds! Looking for a reputable German Shepherd Dog breeder in your area? 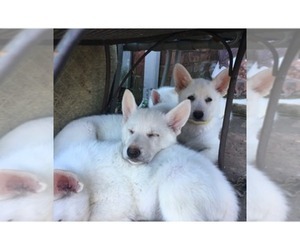 Simply browse through our nationwide directory of 1000s reputable German Shepherd Dog breeders - complete with website addresses, dog breed profiles, and current puppies for sale.